New Delhi, India – 26 October 2016: Mahindra Comviva, the global leader in providing mobility solutions, today announced that it has added new utilities on its mobile-first, hyper-local contextual commerce app Zerch with the aim to improve its contextual commerce capability. Zerch now provides consumers with precise access to carefully curated and aggregated location information on brands/stores present in major commercial hotspots like malls. Moving ahead on its vision of taking contextual commerce to the next level, Mahindra Comviva leverages a unique Wi-Fi based technology which allows consumers to access all relevant, real time store specific information up to 10 feet seamlessly and accurately. This will give consumers an advantage to connect and get access to the best deals and other information at nearby stores without having to switch on their Bluetooth or GPS on their phones. This also allows brick and mortar stores to effectively reach out to the right consumer and push custom marketing messages without investing in any additional hardware. With this unique capability, Zerch ensures precise targeting of consumers near to stores which dramatically improving chances of conversion. Srinivas Nidugondi, Senior VP and Head of Mobile Financial Solutions, Mahindra Comviva said, “We are pursuing our vision of empowering offline businesses with the effective tools for marketing very aggressively and this is just the beginning. We’ve been doing test runs and POC’s in a few stores in Bangalore and New Delhi over the last month and the initial results have been very encouraging. Imagine merchants being able to target consumers next to their stores with irresistible offers or announce the arrival of a new offering when they are already inside. We feel this is a huge opportunity for brands to differentiate themselves in how and when they reach out to their consumers”. Zerch, which is Mahindra Comviva’s venture into the Indian D2C space, was launched last year. The app has its presence in five cities- Bengaluru, Delhi-NCR, Mumbai, Pune and Hyderabad. 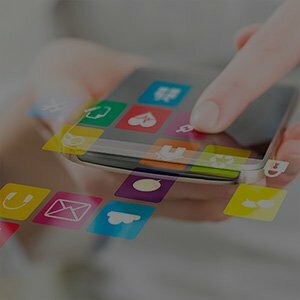 With over 500,000 unique users and 8000 brands as partners, it has moved from being a discovery platform for offers to a transactional platform, introducing offers from local as well as national brands, wherein users can pay for buying a deal on the app itself.